Instead of having Chrome OS for computers and Android for mobile devices, we could see a new, single operating system emerging next year. Chrome OS will be folded into Android, according to “people familiar with the matter” who spoke to The Wall Street Journal recently. Why is Google going all-in with Android? What will happen to Chrome OS? And what kind of impact will this move have? The reason Google picked Android is easy enough to discern – it’s really popular. Android smartphone shipments worldwide have been around 80% of the market for the last two years now, according to IDC. Mobile Internet usage is growing, it overtook desktop last year, and a disproportionate number of younger users are only ever going online on smartphones and tablets, and rarely, if ever, using desktops. Beyond the stunning popularity of mobile and Android, there’s also the fact that the platform has a huge library of apps, it’s already creeping onto a wide variety of other devices, from TVs to cars. People are familiar and comfortable with it. Adding computers will accelerate the juggernaut, pulling in more developers, manufacturers, and consumers. 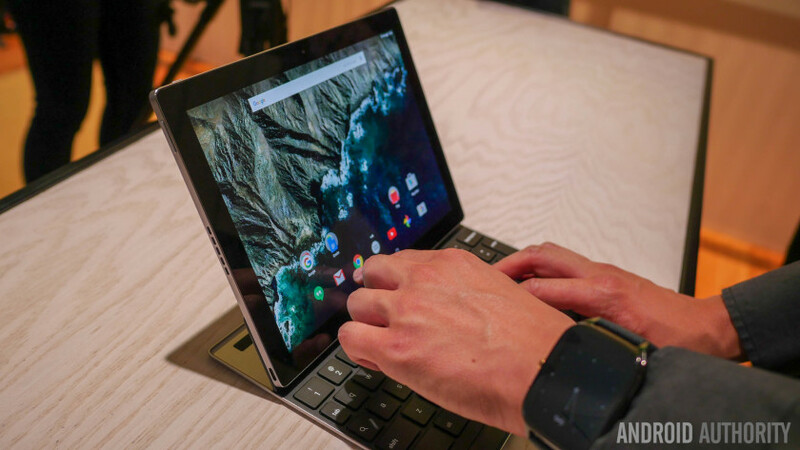 The surprising Google Pixel C may have been a sign of the new direction, but was it inevitable? I asked if Google was bringing Android and Chrome OS together back in April and concluded it didn’t need to, clearly the folks at Mountain View disagree. It seems I was wrong. I can admit it. Though, I think it will be a real shame if Google ditches Chrome OS completely, especially since Chromebooks have been steadily increasing market share, and made real inroads in education, not least because of their affordability. Worldwide Chromebook sales are expected to be 7.3 million this year, up 27% from last year, when the education industry accounted for 72% of sales, according to Gartner. What will happen to Chrome OS? The WSJ report suggests that Chrome OS will remain as an open source platform that other companies can use for laptops, and that Google will maintain it for the foreseeable future. There’s also the suggestion that Chromebooks will be rebranded. You certainly won’t need to throw your Chromebook away, but it does inevitably mean that developers are not going to want to develop anything new for Chrome OS, and in the long term, it could well wither and die. Apart from the low prices, and the fact that Chrome OS made low-end hardware potentially useful, by running nearly everything online in the browser, there’s another good reason to mourn its potential passing. Chrome OS is relatively secure with sandboxing, verified boot, data encryption, recovery mode, and automatic updates. By contrast, all of Android’s detractors have consistently criticized its security credentials. Take a look at the security community and you’ll see a lot of consternation about this move. Google obviously can’t put Android in its current form on computers and expect people to use it. A true merger is going to necessitate some major changes to the platform. Security is an obvious area of focus for improvement, especially if it wants to push Android laptops into the workplace. We know Google has been working on this, but a big part of the problem is the difficulty in getting manufacturers and carriers to push out vital updates, particularly for older devices. Android also has a touch-based interface. One of its strengths is the fact that it has been designed for touch screens. Anyone who has tried using a keyboard and mouse, or a trackpad, with Android can attest that the user experience is less than great. Another thing Android users have long wanted is proper split-screen baked into the platform. The idea of a laptop without windowed apps is ridiculous, so it surely has to come. Android 6 contains the foundation of multi-window, but it’s still clunky. We can expect to see a number of changes to Android, but how quickly they’ll come, and how Google will divide the experience between desktop and mobile remains to be seen. It’s interesting to take a look at the competition here. Microsoft is in a similar situation to Google, but it has come from the opposite angle. It had a hugely popular, dominant desktop OS, but it tried and failed repeatedly to create a smartphone platform that could make an impact. Now, it is finally coming out with a unified approach, with some cross-compatibility of software. The Continuum feature allows you to plug your Windows 10 Mobile phone into a big screen, and scales up the user interface for a desktop experience that works with keyboard and mouse. Will Google try to do something similar with Android? Whether you’re a fan of Tim Cook or not, it’s hard to argue with that statement. It’s really up to Google to prove him wrong. I love Android on my phone, but imagine using an Android device for all of your work. It would not be fun. The question is whether Google can make the necessary changes to Android to make it a viable desktop platform without impinging on the smartphone experience. That’s not an easy task. You also have to ask yourself if any of the motivation for this comes from consumer demand. Do we really need a unified OS?